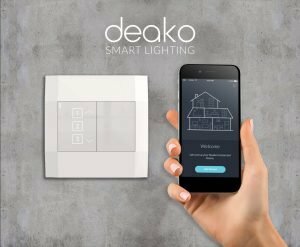 Deako makes beautiful, touchscreen light switches that enable you to control any light in your home from any switch or your phone. Our whole home systems rival the top brands in functionality, but come at 1/10th the cost. Only Deako has a modular system, enabling builders to market a complete “smart light ready” home for a few hundred dollars, with click in upgrades to smart lighting in seconds. 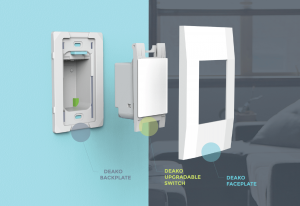 Deako has a unique approach to smart lighting. We have invented the modular light switch. This allows builders to install Simple Switches (non-smart) for no extra cost, labor, or material. Now builders can market the home as “Smart Ready” with no risk. This is possible because our Simple Switches can be upgraded to Smart Switches or Dimmers at any time, by anyone, without even turning off the power. Deako is the only smart lighting solution that is being sold as an upgrade option. With no change to the home building process! Ultimately helping builders sell more homes, faster, for more money & profit. 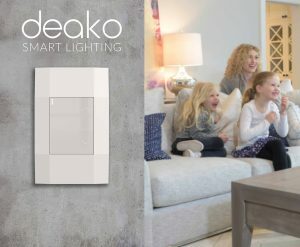 Deako has a unique approach to smart lighting. We have invented the modular light switch. This allows builders to install Simple Switches (non-smart) for no extra cost, labor, or material. Now builders can market the home as “Smart Ready” with no risk. This is possible because our Simple Switches can be upgraded to Smart Switches or Dimmers at any time, by anyone, without even turning off the power. Deako is the only smart lighting solution that is being sold as an upgrade option. With no change to the home building process! Ultimately helping builders sell more homes, faster, for more money & profit. 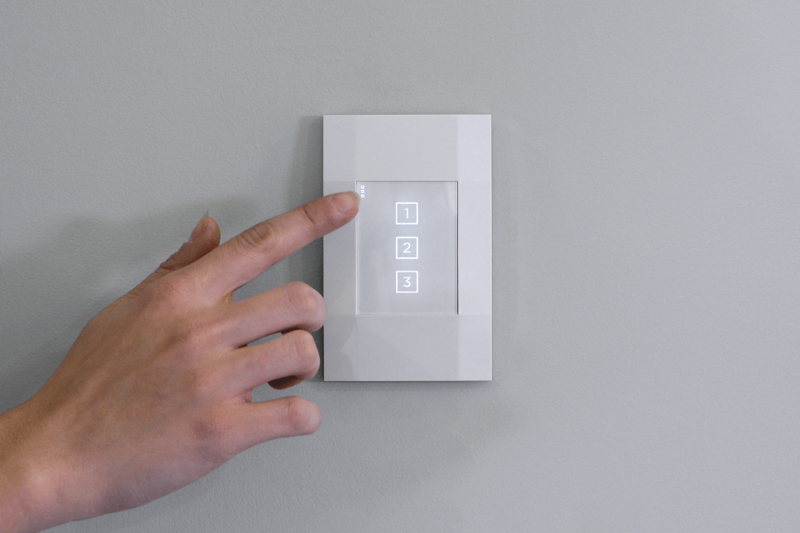 Deako makes beautiful, touchscreen light switches that enable you to control any light in your home from any switch or your phone. Our whole home systems rival the top brands in functionality, but come at 1/10th the cost. Only Deako has a modular system, enabling builders to market a complete “smart light ready” home for a few hundred dollars, with click in upgrades to smart lighting in seconds. Deako’s switches require no hub or special installation. 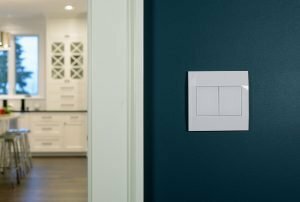 Set up is a snap, with a few clicks on their smartphone, a homeowner is ready to enjoy all the benefits of smart lighting, such as tapping a switch to turn off all the lights in their home as they leave the house, or having the lights come on automatically to welcome you home as you pull into the driveway.